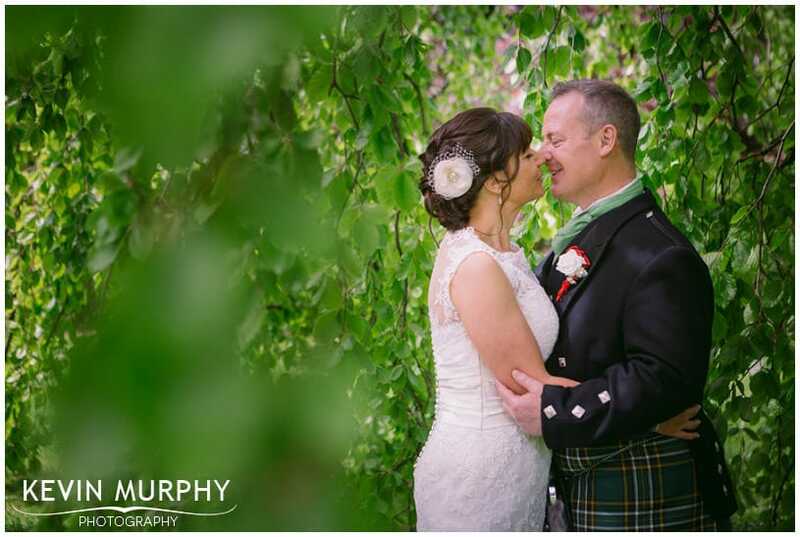 Sarah and Ryan (along with their families and close friends) travelled to Ireland from America to get married in Fanningstown Castle. It was a beautiful, relaxed wedding and all the more impressive that it was all organised from half way around the world. Sarah and Ryan put a lot of personal touches into the day. One of my favourites was that they both wrote each other little notes that morning and, just before the ceremony, they exchanged them. Standing at each side of a door so they couldn’t see each other, they passed each other their notes and had a little moment to let it all soak in. Some impromptu, last minute flower arranging by Sarah. Trying to tie a tie using the knot to rule all knots. I think in the end the knot won! Ryan’s dad writing a song for Sarah and Ryan and playing it as Sarah walked into the ceremony room. Ryan’s friend binding Sarah and Ryan by a traditional tying of the knot. Passing the rings among their family and friends for a ring warming. Sarah’s idea to get a photo of their parents kissing as well as them. A cheesecake wedding cake. Nom nom! Open air toasts as well as an outdoor first dance. Vanessa and Brian were married in Fanninsgtown Castle. It was a relaxed day filled with humour, quirkiness, memories and romance. Vanessa and Brian first met in 1983 in Butlins. Despite losing touch (distance was too much of an issue) they were reunited in 2006. Their wedding was a lovely, intimate and emotional ceremony where they were surrounded by their family and friends (and Vanessa’s pet greyhounds!). All of the personal memorabilia from Butlin’s which decorated the cake table. Vanessa’s sense of humour. She even bought a secret cheap, fake wedding dress which she put on that morning to see everyone’s reaction to it before putting on the real dress! The ring warming part of the ceremony, as well as passing the candle flame amongst the guests, were lovely touches. When my name was used instead of the groom during the vows – eek! – definitely one of the funniest moments of the day! The random craziness of the day – from greyhounds gatecrashing the ceremony to some American tourists taking over the photoshoot! The note Vanessa and Brian attached to their helium balloons before releasing them outside the castle. Thanks for putting up with our difficult demands it must have been a difficult job for you with so many requests and people not doing as they’re told! 🙂 You worked so hard for us and rained calm through it all. We loved our day and we wouldn’t have wanted anyone else to have been there to photograph our day. I can’t wait to see them all! When Kathleen emailed me from Dallas to say that she was planning an intimate wedding in Fanningstown Castle in Adare I was very excited. It’s one of my favourite places to photograph weddings, not just because of the amazing location but also because the wedding there tend to be very intimate, personal and meaningful. 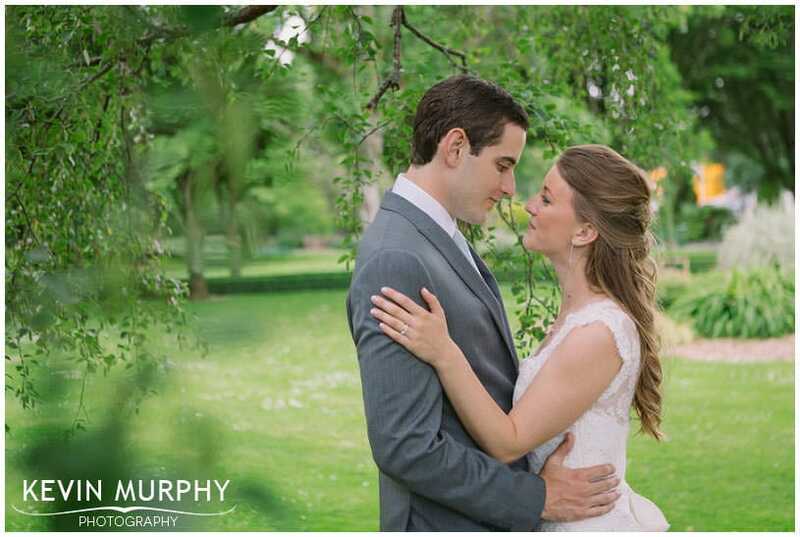 Kathleen and Brian’s wedding was exactly that – a handful of guests, a willow tree and a promise. 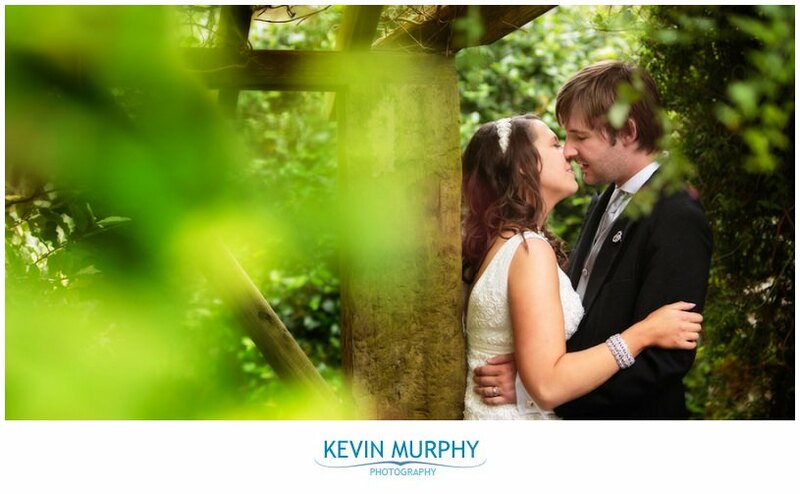 I met Kathleen and Brian when they arrived in Ireland to have a chat about their wedding day plans. After Brian shared a few funny stories about his Irish driving experiences they admitted that all they wanted was one EPIC wedding photograph. No pressure then! The weather forecast was not good, so we weren’t sure whether we would be able to have the planned outdoor ceremony let alone go somewhere nice for that epic photograph! Thankfully, just as the ceremony was about to begin the sun came out. Phew! Carmen and Giulia who not only kept everyone entertained with their humour but also complimented every single person who came along to help on the wedding day. Being welcomed into the group like I was one of the family. Finding a field that morning which had just been cut and still had the gate open so that we could go get that epic photo! Being given absolute free reign and trust to do whatever I thought would make a good photograph. Getting lucky with the weather! Kathleen and Brian’s first dance, on the lawn, beneath the willow tree where they said their vows. 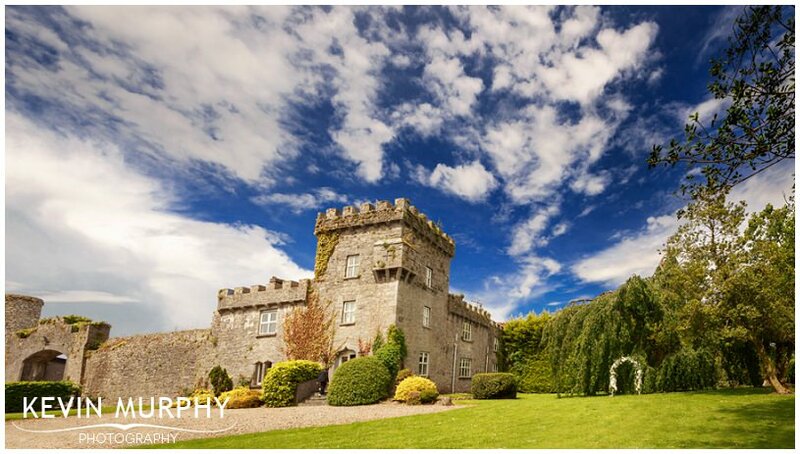 Lauren and Dave were married on the lawn of Fanningstown Castle in Adare. The ceremony was deeply personal and emotional. The sun broke through the clouds as they exchanged the vows they had written for each other. Lauren and Dave travelled to Ireland with a small group of less than a dozen family and friends. They welcomed me into their group like one of their own and I felt privileged to be there to witness their day. Thanks for having me! The location. I’d never been to Fanningstown Castle before. It’s fab. The vows that Lauren and Dave wrote for each other. Beautiful. The unique and personal ceremony by A Beautiful Ceremony. Almost everyone was involved, a piper played music and the tying the knot part of the cermony was great too. The details. I’ve only included a small selection of photographs here, but Lauren had some lovely little details – including the bouquets which she handmade herself.